La Farge Truck Center specializes in quality new and used trucks. We have a large and diverse selection of medium and heavy duty trucks in our La Farge Wisconsin center. We invite you to browse our on line selection and contact one of our sales representatives with any questions you might have. We will work hard to earn your business, and even harder to keep it. To view our new trucks [click here] or use the New Trucks link at the top of the page. To view our used trucks [click here] or use the New Trucks link at the top of the page. 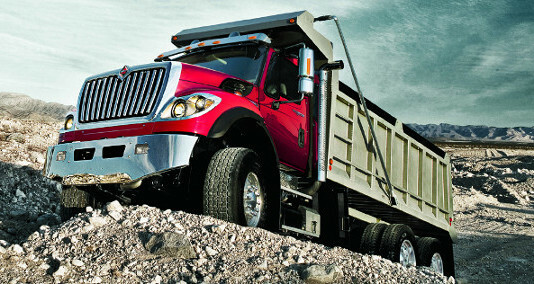 Access to a large selection of medium, heavy duty, and unique truck parts for all makes and models. Our expert staff is ready for your order, and will make certain that your order is filled quickly and accurately. La Farge Truck Center employees highly skilled Diesel Technicians and Mechanics, Body Repair Technicians, Automotive Painters, and Welding and Metalworking Specialists, to keep your truck in tip top shape. Our technicians do all sorts of repair jobs, from working on the electrical system, to making major engine repairs, to fixing a scratch or dent. Feel free to call us and schedule your next service appointment.